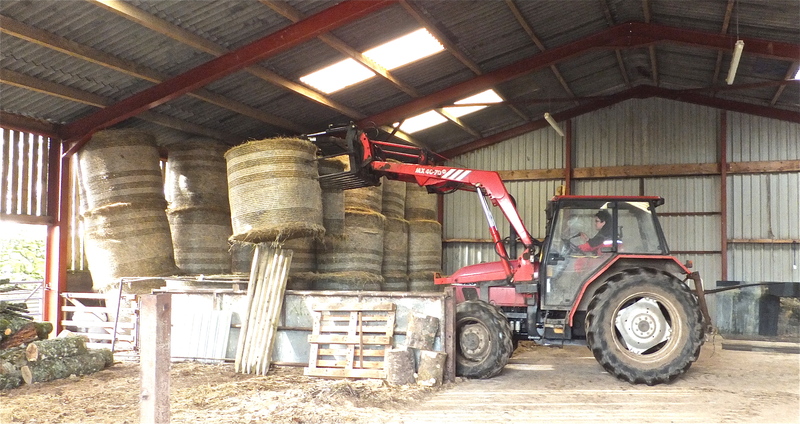 It’s been a busy time at Barnhillies barn, getting it cleared and ready for my Degree Show. Murray Shaw kindly moved all the hay bales, letting the light stream in. I plan a ‘virtual installation’ – a film loop which will accompany the work I show at Edinburgh College of Art in May/June. Next, the big lorry from Dumfries Timber Co arrived, delivering sheets of MDF for the third and largest piece in my Rhinns triptych. This will measure 4.5m x 3.6m. 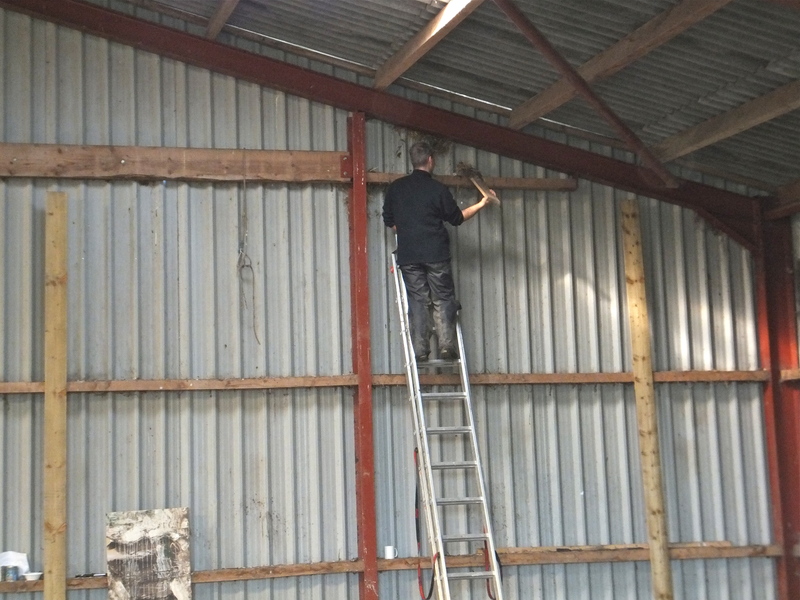 Although I like to work on the floor, I’m seriously thinking of acquiring some scaffolding. 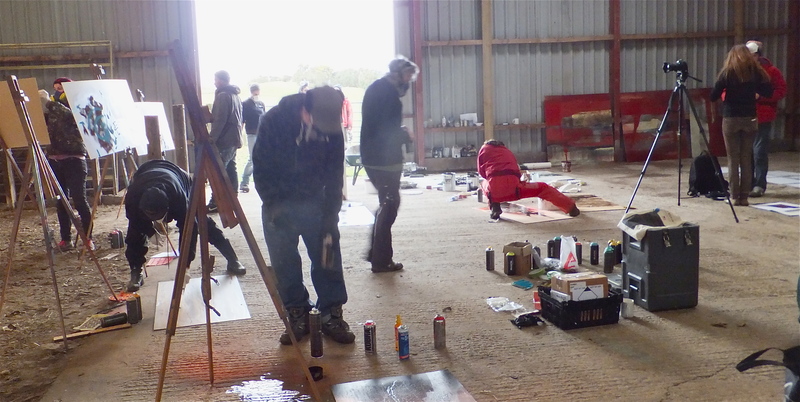 The ‘barn launch party’ was a workshop for the Spring Fling Rural Mural artists – enormous fun, now known in our follow-up emails as the “Sprayathon Fun Day“, which just about sums it up. My workshop in the afternoon was all about the materials I use, linking my work to the rural farming community.